Have you tried fantasy sports yet? If not, you don’t know what you’re missing. There are many fantasy sports competitions out there for you to play, and although they are free, most do not allow you to pocket real money. However, fantasy sports have evolved, and now you can play them with real money, and win large sums of cash in return. Fantasy sports are the new craze in the online gambling world, but just what exactly are they, and how do they work? If you don’t already know, or haven’t tried them yet, fantasy sports can be quite challenging at first. Basically, as a player you are required to build up a team or virtual sports stars. Those sports stars are based on their real-life counterparts. If your real sports stars have a good day playing sports, then so will your team. Players will earn points based on how well their real life players perform, and that will automatically bolster your standing in the many competitions and contests which are run on fantasy sports websites. Of course, it does cost to play these games, but the reward you could win at the end makes it more than worth a shot. After all, sports games are far more thrilling when there’s money involved. Depending on the website you play at, you could find yourself dealing with just one sport, or several. Most of the major brands carry football (soccer), NFL, NHL, and NBA. However, it is not uncommon for some fantasy sports sites to run motor racing, rugby, cricket, or baseball events, too. The most common sporting competitions run on fantasy sports websites tend to be the aforementioned big three American games, and football. Because these fantasy games rely on real-time statistics to work, you won’t be able to play these games all year-round. Instead, you can only join in the fray when the actual season of your desired sport is in session. The good news is that many sports schedules avoid clashing with with another, leaving you with something to play no matter what time of the year it is. This is a very good question. Why Bitcoins? Fantasy sports betting is a huge industry, and one which takes place all over the world. If we were dealing with an online sports betting website, then they wouldn’t be able to offer their services to players across the globe, due to banking restrictions, gambling laws in various countries, and every other reason under the sun. You simply wouldn’t be able to offer your services to players across the globe. Things are a lot more simplified with fantasy sports sites. 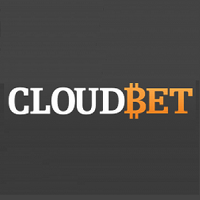 BTC daily fantasy sports. Free and GPP soccer contests. 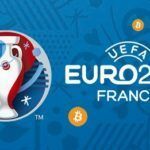 To ensure that all of their players can play safely and securely, Bitcoins are used. Bitcoins offer total anonymity, they offer 100% security since they are not linked to your bank, and they are a digital currency which is very suitable for this type of enterprise. 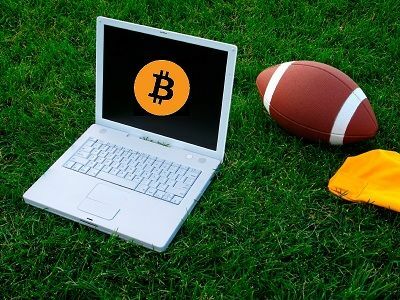 By using Bitcoins, fantasy sports sites can also get around the tough restrictions in countries like the USA, which normally prohibit you from using your credit cards and bank accounts to gamble. Make no mistake about it, though, playing fantasy sports with Bitcoins is completely safe if you play at one of our recommended websites. There are many types of competitions and contests for you to compete in. Some are daily games (known as DFS – daily fantasy sports). These are played against other players. 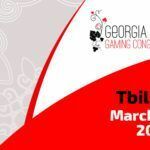 Other types of competitions and contests include guaranteed prize pools, non-guaranteed contests, 50-50 competitions and more. There are also full-blown leagues for players who like to endure a long-term campaign over the course of a season. Each competition and contest has its own rules and regulations. A full breakdown of those will be available before you decide to play each tournament. Two of the most common rules for contests are salary caps, and squad sizes. These basically mean that you have to live within a predefined budget (so you cannot snap up all of the best players), and that you are required to have a specific amount players within your squad. There are many more rules and regs, but these vary from competition to competition, and site to site. Do take the time to read them, though, to avoid any surprises. It is not uncommon for fantasy sports sites to offer bonuses and promotions, either. These too vary from site to site. Some involve “welcome bonuses” issued to players when they join. Others may be freerolls, or entry into competitions and tournaments you wouldn’t normally be eligible for. These can be found under a “promotions” or “bonuses” header at each fantasy sports site. Keep in mind that these too many come with specific rules and requirements, but they can provide you with a little added assistance if you’re in a tight spot. Should I play fantasy sports? If you love sports and sports betting, then there is certainly every reason to give this new craze a pop. Why not put your knowledge and love of statistics to the test, build your own team, and put your money where your mouth is? Fantasy sports may take a little getting used to, but once you know what you’re doing and a competition is underway, they are one of the most fulfilling gambling games you can play on the net.